My son is best freinds with Jeff. My wife and I are great friends of his parents. I know that we can not contact Jeff directly so if you can give him a BIG “HOORAAA” from the Mitchell’s. That would be awesome!!! 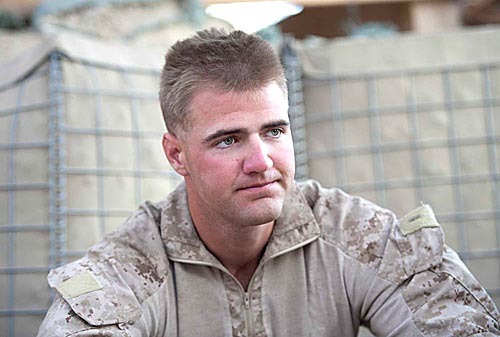 Jeff wanted to be a Marine since he was a KID – We are very proud of his accomplishments. Thanks to you and Andrew and all of the men and women of our military for your sacrifice. Go Raiders! Thank you! I appreciate you! God Bless! Ole Man Jeff and I go back to the late 1970’s. LT Lenar got his interest in the military from the old man. I know why that is and so does the old man. We will leave for only us to know. Having spent 24 years in Air Force Blue, I know what this young American hero is going through; and I coouldn’t be prouder of him and his team for what they must do in that Gog-forsaken place. Semper FI Jyreen. Hi Jeffrey – come home safe. We miss you!! Our daily prayers are with you always. Mrs. B misses your blondie jokes! !